I confess, that I'm really interested in this whole NaNoWriMo thing (also I find it hilarious that for it to be about writing novels, it's so commonly abbreviated into one word...) The idea of 50,000 words makes me a little nervous though, so I'm starting smaller. Writing prompts, journaling, considering the whole novel thing and what I could possibly write about... So I'm going to start participating in the Write or Die linkup! This week's prompt is this fantastic picture, here we go! This is such a serene and beautiful picture. Part of me wishes I could just pick up and plop down in this field, lay up watching the clouds, read a book, and forget about everything. The other part of me just hears Dandelion by Kacey Musgraves playing on repeat. It almost bums me out. That's one of those songs that I'm sure almost everyone can relate to and then you think about broken hearts and wasted wishes. I've always thought dandelions were incredible. Who was the first little girl who picked one up (because you know it was a hopeful, daydreaming, bright eyed little girl who picked one up) and thought, this isn't a weed, this is something beautiful and it will make my wishes come true. We've all made those wishes, little ones, big ones, making sure to blow all the little seeds off or else it won't come true, like your birthday cake candles. Making those wishes is such good karma too, since you're sending out more seeds for more dandelions for more little girls to make wishes on. Sometimes I miss being that little girl, running around barefoot wishing for all the puppies and a life of adventure and to finally beat the boys at any game. I miss climbing up into a tree and reading for hours on end, without a care in the world, imagining that I was Frannie, or Hermoine, or any other heroine you can think of. Before you really learned that dandelions, shooting stars, lucky pennies, and birthday candles wouldn't make your wishes come true, only you could do that. I still make wishes on all of them though, don't you? I love Kacey Musgraves as well. Really enjoyed reading your post reminiscing about childhood. I miss those days as well. Great post. 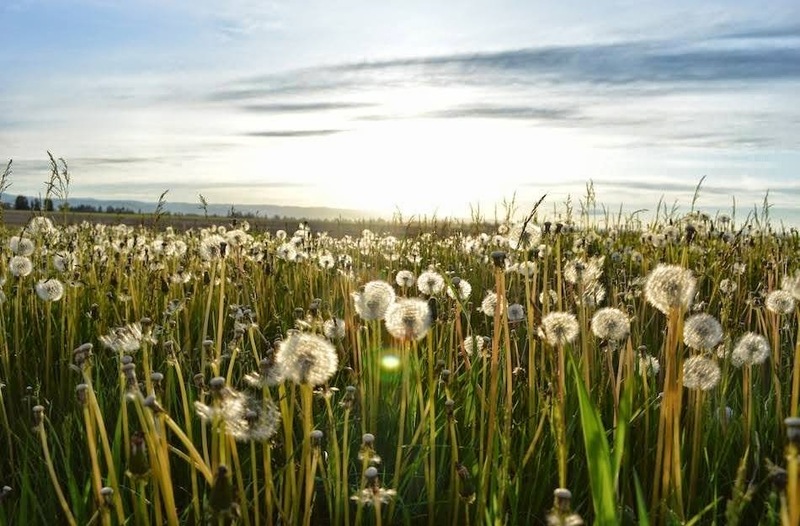 I wish we could go back to the days when life was as simple as making a wish on a dandelion! oh thanks! I've been trying to bring that level of bright eyed hopefulness back into my life. treating every day as an adventure rather than a chore..
isn't Kacey great? she's so sassy + down to earth. thanks for stopping by!!! NaNo is so intense and wonderful. It's my first time and it has been really eye opening to see what makes your ideas flow! Beautiful post, beautiful pictures and BEAUTIFUL song! Thank you. I feel so overwhelmed by the 50,000 number. I feel like I should set a goal of 500 words or more per post this month + maybe that will help me get closer! I'm glad you liked the song!! all children should be taught to do the same!!! I love how you pointed out the naivety of being a child and thinking wishes would come true by simply blowing a flower or candles. Sometimes I think we need that sort of magical thinking as adults. To be hopeful the way we were before LIFE got a hold of us. I enjoyed your post and hope to see you again next week!! oh I'm so glad you enjoyed it! I have been making a conscious effort to look at the day like I did as a kid, "what kind of adventures will we have today?" rather than "oh great, it's Monday again." Oh, and when I first clicked on your link, I thought it said "Spent My Wishes on Weed"
I thought we were really going to talk about weed aka pot. OMG. I just noticed that's what blogger decided to shorten it to. that's the best! hahahaha maybe next time! I didn't realize that blogger shortened the link to that, but it's HIIIILARIOUS. Hey. I'm doing NaNoWriMo. You should totally try it. I've successfully finished a couple years. I'm NaNoWriMoing as "scrabbleplaya". Would you like to be writing buds? I tell other people's children that! like, dude being an adult is SO overrated! I just don't know what I would write about! I used to write stories all the time, I'm worried I lost that creativity when I became a so-called "grownup"
Confession: I Miss Weekly Confessions. Weekly Wishes + One Lovely Blog! Babes In Blogland + A Giveaway! I'm Breaking ALL The Rules Today.. Goals + Wishes + Pictures, Oh My!